Learn-Ventriloquism Online Ventriloquism Course now has an affiliate program administered by ClickBank.com. The program pays a generous 50% commission for every referral that results in a sale. To participate, you must have a ClickBank affiliate account, which is free. If you do not have a ClickBank account yet, you may sign up here. Please read their site and terms to understand exactly how they track sales and make payments for referrals. Once you have a ClickBank nickname, you can get your CB affiliate link for this program by going to their Marketplace. Type ‘ventriloquism’ in the search box and click on the green ‘Promote’ button to create a ‘hoplink’. (See Video) You may also find this program by clicking on Arts & Entertainment in the sidebar and clicking on the subcategory Magic. This course is NOT a high pressure site. 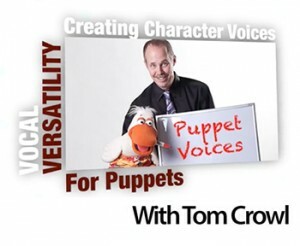 We provide a professional, highly specialized educational platform designed to teach ventriloquism. Simply sending traffic to this site will not result in sales. Traffic must be targeted – people who want to learn how to perform ventriloquism. Affiliates need to show interested individuals that this course, using a unique delivery method, combined with expert instruction will not only teach the art, but shorten their learning curve. The information is NOT the standard fare provided by other sources. These are proven techniques used to build a career in the artform.